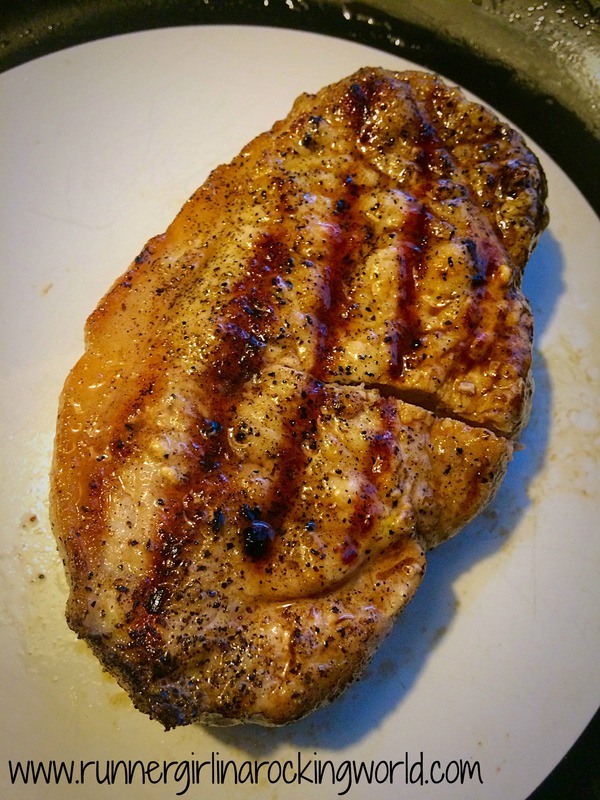 For this WIAW, I decided to highlight some of my favorite eats from the week. Let’s call it a sample platter of all the yummy goodness that I ate! This weekend, Cara and I got to try Chuy’s, an Austin, Texas based restaurant that has finally made its way to NC! I’ve had several people who raved about it and we were excited to give it a try. With so many tasty sounding choices, we had a difficult time deciding what we were going to order. 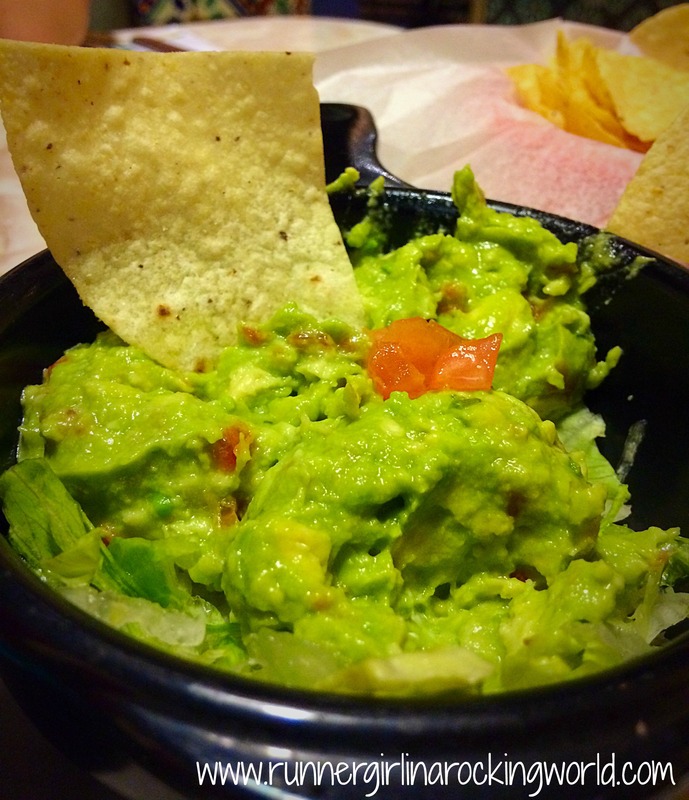 We quickly ordered guacamole while we checked out the menu. It was served with warm tortilla chips and it was really good! Cara ordered the quesadilla and I ordered a fajita steak burrito. The real star for me was the creamy jalapeno dip! Holy smokes that stuff was addictive! It was like a kicked up ranch dressing and went perfectly with my burrito. We enjoyed our visit to Chuy’s and look forward to trying it again! Yesterday, we had a variation of our weekly Chicken Caesar salads. 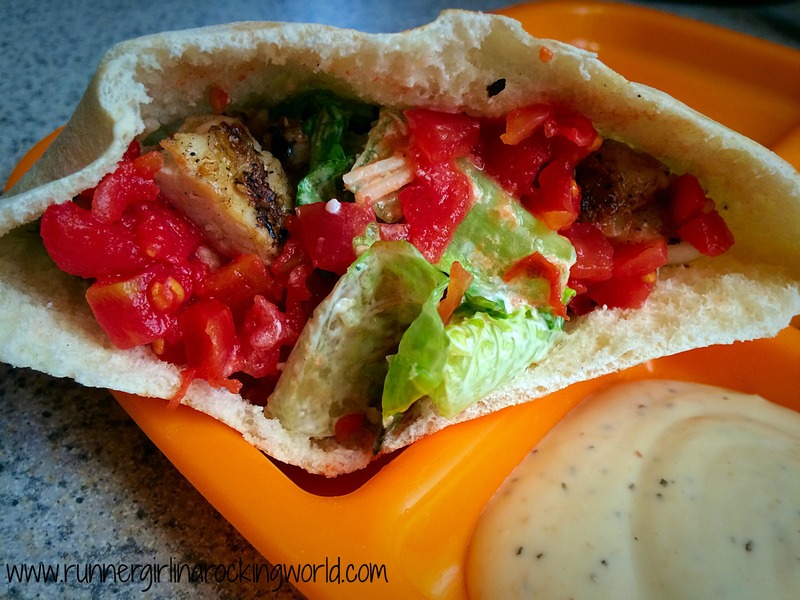 Nick grabbed some pitas and we made stuffed them with the salad mix, grilled chicken pieces and some diced tomatoes. We loved them! It was just nice to mix it up a bit on one of our favorite meals. My cheat of the week was some boxed mac and cheese. 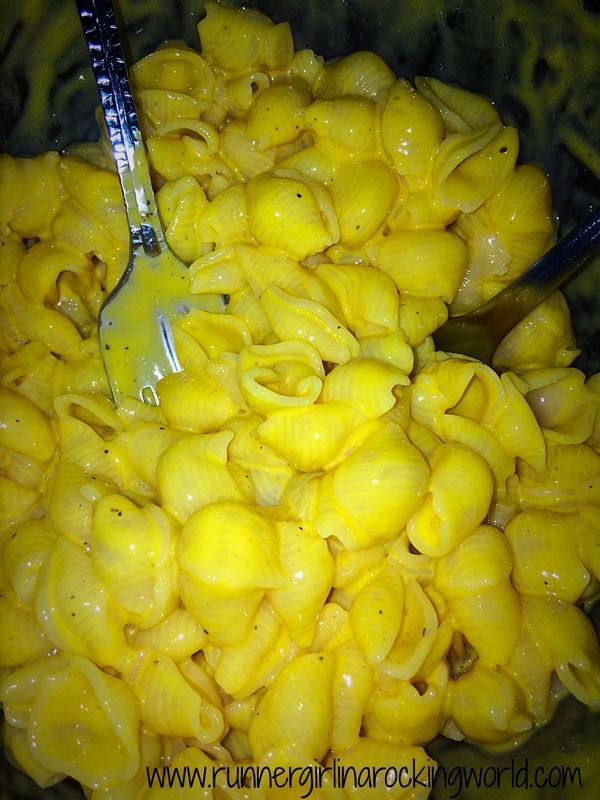 I was craving some for a few days now and didn’t want to go to the trouble of making real mac and cheese. I gave in and it was worth it. Nick grabbed some super big pork chops from the grocery store to go with the mac and cheese (which I ate as an appetizer). They came out perfectly, just a little salt and pepper! We love our cast iron skillet. Man, that thing works awesome on chicken, pork and steak. Check out other WIAW posts over at Peas and Crayons! What were some of your food cravings this week? Did you give in? ← Going Rogue – Mixing it Up! I was waiting to hear your review on Chuy’s! Mmmm the creamy jalpeno dip sounds like my kind of food! It was SO good! That dip on the steak burrito made the whole thing. It also tasted good mixed in with their salsa on a chip. 🙂 I’m kind of craving it now! Making me hungry! I ate so well when I was in Charleston last weekend, tho! I can’t call it cheating–I had fresh fish every night…but we did eat a lot! I bet you did!! Charleston is the town to eat your way through!! Oh it was so good!! Chocolate covered anything is a total win!! Yeees!!! 🙂 🙂 XOXO! Have a fab weekend!! !